Number 45 from an edition of 70, self-printed in 1984. Print details in pencil in the bottom margin. 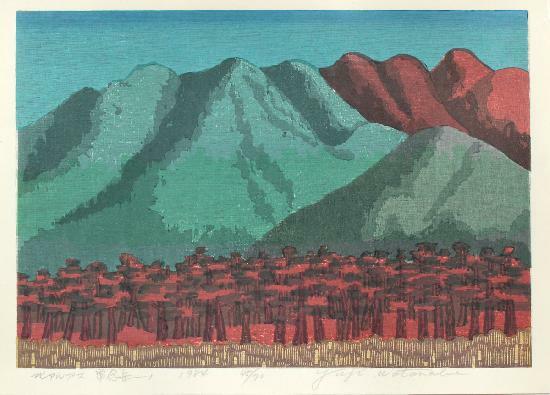 This print by Yuji Watanabe is reminiscent of similar works by Azechi Umetarô (1902-1999).